Hey, everyone! Tonight I have my second entry into Melanie Muenchinger's "Case Me, Please!" challenge. 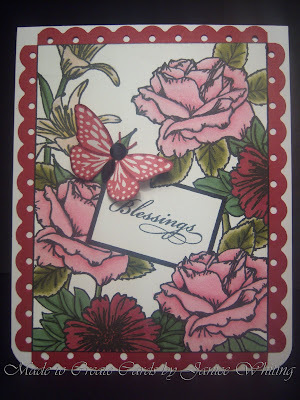 The card I chose to CASE is this beautiful card below that Melanie created using her Arranged With Love set. Isn't it such a beautiful stamp set?! 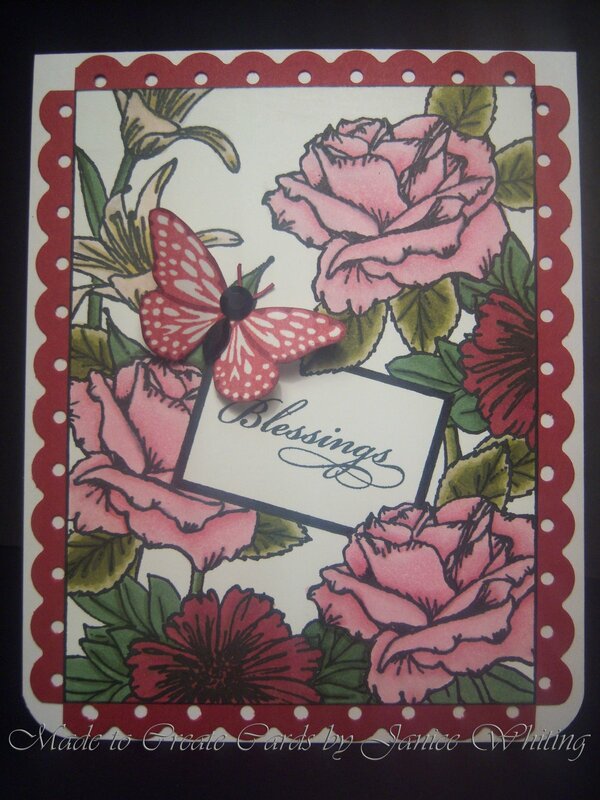 All the images you see with the exception of the sentment and butterfly is one whole stamp! You did a fantastic job coloring this. Turned out beautiful! 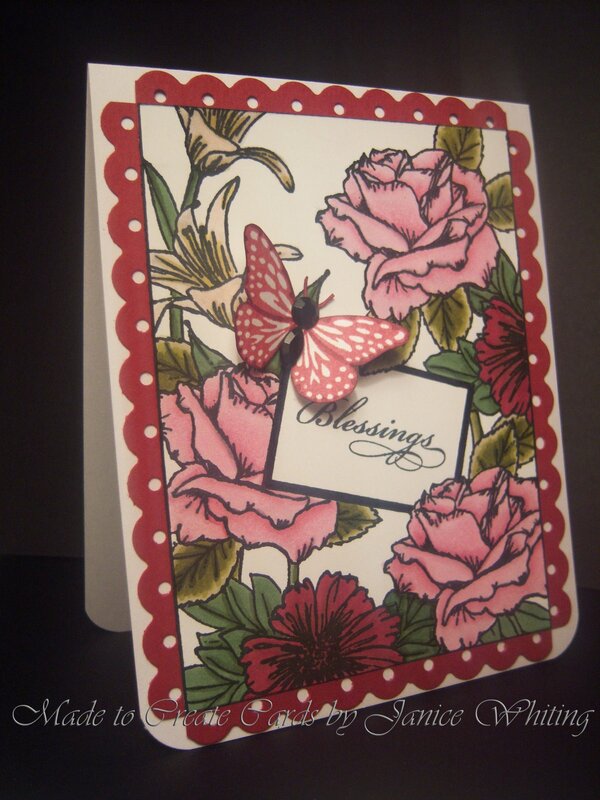 love the colors (red is my fave) and the whimsical butterly!